Dragon Maiden is a slot from Play’n GO with 5 reels and 243 ways to win. 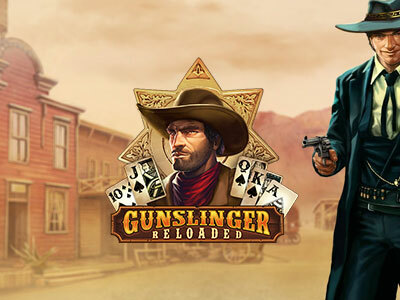 This fantasy slot has been newly released in November 2018 and can be played at online casinos such as Dunder, Casino Cruise or Twin Casino. Dragon Maiden comes with a fantasy theme. There are plenty of those around, including slots that feature dragons, and many have done it better than Play’n GO with this slot. Heck, Play’n GO has done it better before. That is not to say that this slot isn’t well-designed, giving us some great animations and beautiful details. It does look good, but it could have looked awesome. The reels are set in front of a dark mountainscape that gets much darker and even fierier during the free spins. The reels look like dragon’s scales, which is even reflected in the low-value card suit symbols. The Dragon Maiden herself is the most valuable symbol in the game, giving us 12.5x our stake. The red necklace gives us 10x our stake and the purple ring 7.5x our stake. The dagger is worth 5x our stake in a 5-of-a-kind win and we still get our 2.5x our stake for the coin. 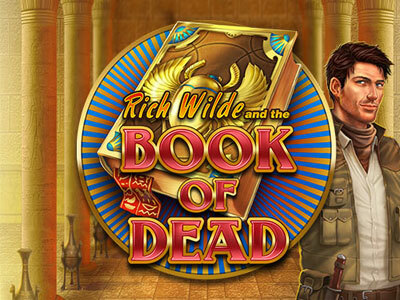 You can play this slot from as little as €0.20 per spin and as much as €100, making it suitable for just about any budget. The game comes with 243 ways to win as a standard, however, as the reels expand in the free spins, you can get up to 7,776 ways to win. We usually only set the autoplay function to 50 spins at a time here, because the Dragon’s re-spin is triggered often enough that you will end up activating the free spins every 50 to 90 spins on average. Indeed, we often didn’t even get to play through 50 spins before the feature hit again. In any case, you need two Dragons to hit the re-spin. With any luck, another Dragon will land on the reels, giving you another re-spin. You will get re-spins until you either have the maximum number of Dragons on the reels (one on each), or no further Dragons appear. Wins are paid out on every re-spin, if a winning combination eventuates. Additionally, the Dragon Maiden can become wild and she can expand to two or even three symbols high, covering the entire reel (during free spins she won’t go beyond three symbols high, though). Unfortunately, that doesn’t happen often and never really when you want it to, which is a bit of a shame. Dragon Maiden lives off one bonus feature but that’s more than enough. The free spins hit frequently enough. Catch three Dragon and get 8 free spins. With four Dragons you’ll get 10 free spins and with five Dragons you’ll get 12 free spins. The Dragon Maiden will become wild and expand (or not) randomly during the free spins. Whenever a Dragon lands on a reel, that reel will expand by one position. Each reel can expand up to six high and when that happens, you will receive a Golden Spin as well. The more free spins you start with, the better your chance at expanding more reels, but you will rarely get more than two reels fully expanded. By the way, if a Dragon lands on an already fully expanded reel, you will also receive a Golden Spin. We once managed three Golden spins. First the normal free spins play out and afterwards you get the Golden Spins, during which you get all six reels fully expanded and therefore the full 7,776 ways to win. The theoretical RTP (Return to Player) of Dragon Maiden is 96.39%. That’s a little above average and pretty decent. But this is a volatile slot and you will need to hold onto your funds, otherwise they keep draining away. Just because the free spins hit frequently doesn’t mean they’re always a hit. Indeed, playing the free spins a dozen or so times, we only managed one truly successful run that gave us over 200x our stake in winnings back. That included a big win with expanded wilds during the normal free spins and two more big wins during the three Golden Spins we managed to score. But often enough we barely managed 3 to 10x our stake during the free spins. Even when we started off with 10 free spins, we only ended up winning a little over 3x our stake and never triggered the Golden Spins. This slot may not get boring for a while, simply because you keep getting the free spins or at least the re-spins, but you need patience to hit the big wins here.